Each manufacturer's will race each other to create something new with the latest technology. 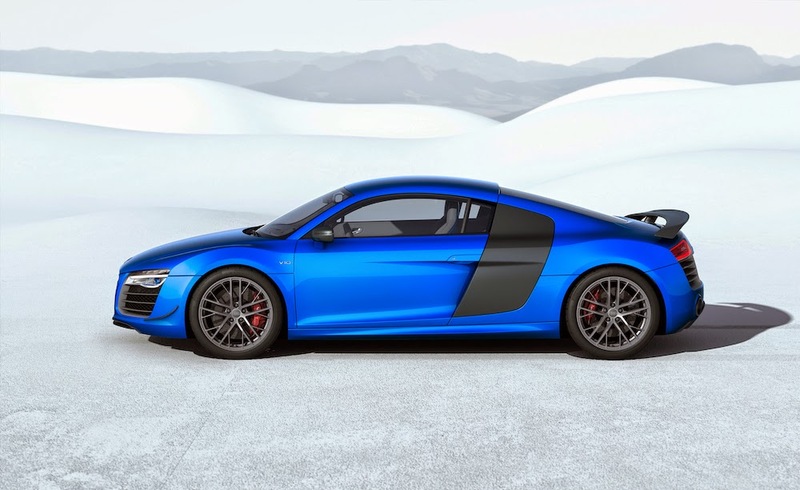 Similarly, to Audi who has seductive the automotive connoisseurs by presenting the Limited Editon R8 LMX. 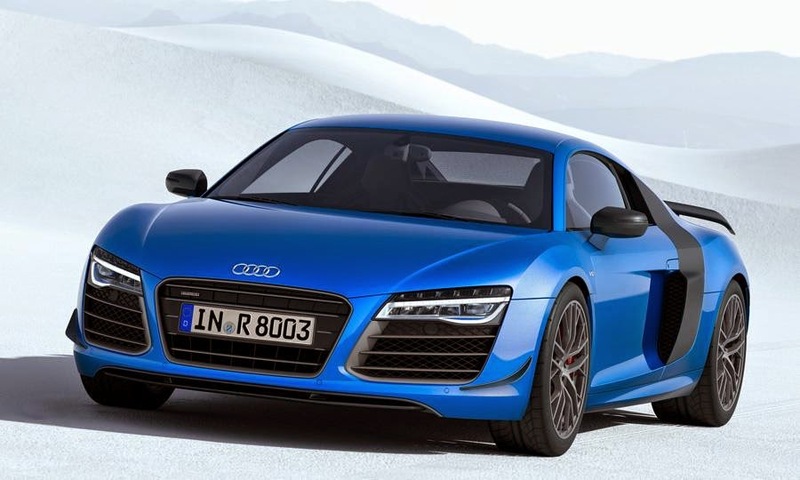 Limited Edition Audi R8 LMX not only as fast as the latest R8, but also the first production car to feature High laser beam, beat the BMW I8 just in a matter of one week only. Headlight Laser System from LMX is comprised of a laser module for each Headlight, and in it there are 4 laser diode that produces blue light. Laser light technologies used in Audi sports car has a light level which is much higher than the LED lights used at this time. 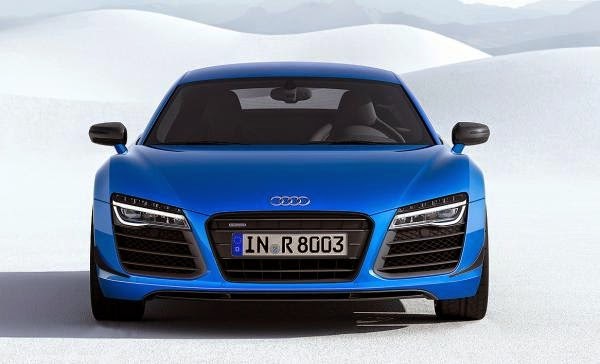 With this technology, Audi R8 LMX becoming the first car to apply the laser light technology. This laser light can produce blue laser light with a wavelength of 450 nanometers. A phosphor converter change to white light with a color temperature of 5,500 Kelvin in ideal conditions. As a result the driver's focus more easily and not quickly look tired. Dual laser modules will light up when the car drove with the speed of 60 kph and is designed to complement the Low and High beam LED cluster. The car is also installed onboard camera system that mounted on LMX monitor displays the front view of road and help when the driver glare because light rays from another car that coming from the opposite direction because of Beam Pattern R8 shield. While its engine featured with 5.2-liter V10 that produces power up to 419 kW and Torque of 540 nM. 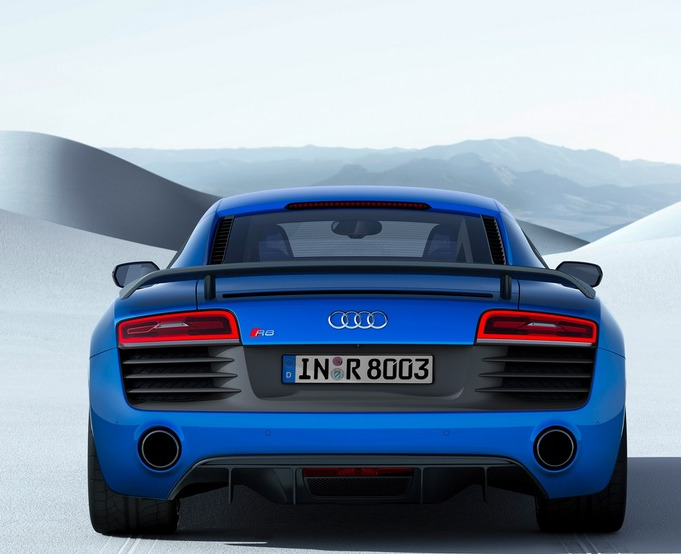 Compared with the previous R8 engine to V10 engine plus but only produces 404 kW of power. Power generated by all four wheel drive system with a 7-speed dual support cluth transmission or S tronic with Audi Lingo. Update from this drivetrain can acceleration from 0 to 100 kph in 3.4 seconds and top speed is achieved at the point of 320 kph. Another thing that distinguishes the regular edition car with the Limited edition R8 LMX is featured with carbon fiber-ceramic discs with red calipers hidden behind standard 19 inch alloy wheel, rear spoiler, carbon fiber reinforced plastic (CFRP) installed in a number of elements for interior and exterior, installed hand shade of blue crystal exclusively is only available on the R8 LMX.